From Spain we present TABLAO FLAMENCO by dancer and choreographer Adva Yermiyahu. 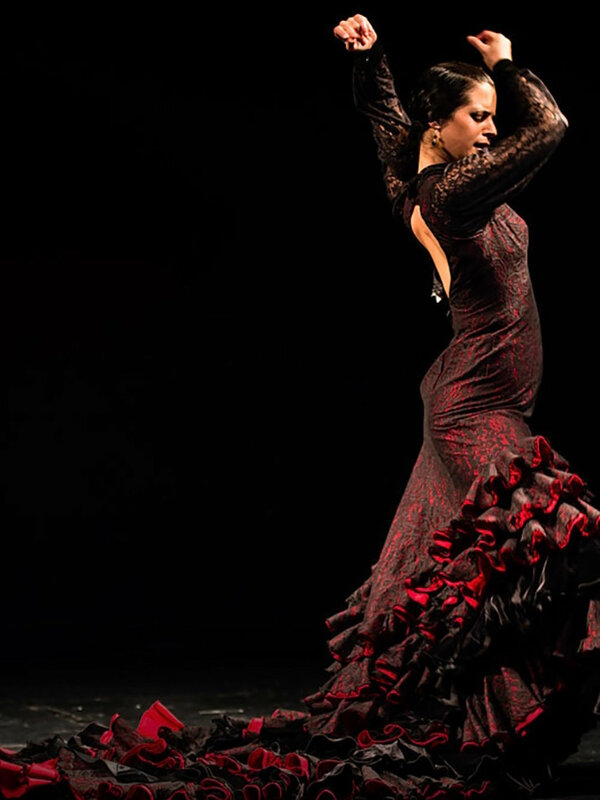 It is a sweeping, moving and energetic Flamenco show combining singing, guitar and dancing, presenting the art of Flamenco in its authentic form, as it is currently performed in Spain. On February 9th and 10th we will be hosting these specials performances. The shows on Saturday evening are $50pp. The shows are at 7pm & 9pm, and include tapas and drinks. Space is limited for these shows, and reservations are required. The show on Sunday is at 1pm and is free to the public. We will have a place for donations, as our friends came a very far distance from Spain to perform for us! This is an experience that you do not want to miss! Click on the link below to purchase your ticket now. Please make sure to click on the show time that you want. "A flamenco dancer that stops the street and creates a huge traffic-jam because you just can't take your eyes off her." Manuel Cazas Peña (guitar) is from Cáceres, Spain where at 16 he began performing flamenco guitar professionally. It was at La Soleá Tablao Madrid where he became skilled as an accompanist and progressed to accompanying dancers at Amor de Dios, the premier school for flamenco in Madrid. Manuel has played in the most time honored tablaos in Spain: Casa Patas in Madrid, Los Gallos in Seville and Tablao Flamenco Cordobes in Barcelona. He has performed for many Festivals including Festival Flamenco Internacional de Albuquerque and has toured the USA. China, Japan, Sweden, France, Turkey, Taiwan and Lebanon with such celebrated artists as Pepe Torres, La Farruca, Pastora Galván, Marco Flores and Belén Maya. He is also a composer having worked with Rocio Molina (Entre Paredes, Turquesa Como el Limón and Merche Esmeraldo), Mario Maya (Mujeres), Manuel Liñan/Belén López/Pastora Galván (Todo Cambia). Bárbara Martinez (singer) was born in Venezuela to a family of artists and grew up in New York City where at 10 she began performing in opera, off-Broadway and film. Bárbara currently works with a variety of Flamenco companies and world music groups, including her own fusion group, which appeared at Carnegia Hall in 2010. She has performed at the Metropolitan Opera and for many festivals featuring jazz, world music and Flamenco in the USA, Panama and Canada. She is a graduate of Brown University and studied flamenco at the famed Cristina Hereen Foundation school in Seville on scholarship. She teaches and performs regularly throughout New York City.